Submitted by Sam Jacobs. Written by Jake Beaty. Editing Additions in Red. Do you dream of living off-grid? You might want to live off-grid to be prepared for economic collapse or a viral pandemic. Perhaps you're worried about a natural catastrophe such as an earthquake or tornado. Maybe you're fed up with the rat race of life in the concrete jungle, and just want to try your hand at living off the land, as our ancestors did. It's a romantic notion, however, the realities of it can be much more difficult than most people realize. Modern society has let us specialize in such a way that most of us lack many of the basic skills necessary to survive off the grid for an extended period of time. Before you make the jump, consider how far off the grid you truly want to go. Keep in mind that going off-grid is an on-going process, so you'll need patience and resourcefulness to make it work. Written by an Eagle Scout who helped his father build his own log cabin off the grid in Eastern Washington, the family then lived in the cabin for six years in the '80's, and the son returned to live from 2007 to 2012. Our guide gives you a realistic assessment of what it takes to thrive off-grid, and how to acquire the skills to succeed. General Region - Think first about the general area of the country where you'd like to live. Each region has pros and cons from weather to wildlife or the people who live there. Terrain - This is related to the specific piece of property you're considering. How far do you want to be fro the nearest town? You will most need to obtain some provisions - what level of convenience do you require? 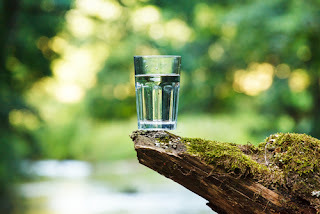 Cleanliness - the water must be clean for drinking, ideally without requiring filtration or purification. Proximity - the water source should be close to the dwelling. You don’t want to walk half a mile to a spring if you can avoid it. Supply - the volume of water and replenishment rate must be sufficient for regular daily use through all the seasons. Different locations lend themselves to different water source types. Well - a vertical shaft drilled to access underground water. Wells are common because they are generally safe and reliable, but they can be expensive to drill. Determining where to drill can be done with electro-seismic technology, or by dowsing. Spring - where subsurface water emerges to the surface. Cost is low, but the location may be far from the dwelling. Surface water - stream, river, lake or pond. Cost is low, but such sources are subject to contamination and seasonal variation. Rain water harvesting - rain water itself is safe to drink, but collecting surfaces may be polluted. Unpredictability and low volume mean that rain collection will likely be a supplement to other sources. Melting snow - the amount of water obtained from the snow is often small, and is not available year round. It’ll do in a pinch. It is worth time and effort to make sure there is enough water for your off-grid home. It is wise to have more than one source as backup for true self-sufficiency. Many scenarios from drought to freezing can lock up valuable water – be prepared for any possibility. It even pays to have an emergency supply stashed in barrels or jugs. Local climate determines which plants you can grow and when, so spend some time learning about your plant hardiness zone, earliest and latest expected frost dates, and summer heat impacts. This will help you make the best choices for the food you want to grow. Be aware that pests large and small, from insects to deer, will be interested in partaking of the fruits of your labor. Spend some time researching preventative measures for insects and be prepared to erect a fence around your garden for deer and other large animals. In a garden of sufficient size, watering can present a challenge when living off-grid. Energy is required to pump water, and that energy comes at a premium. Consider rain harvesting and buried seep systems to reduce water waste through evaporation. 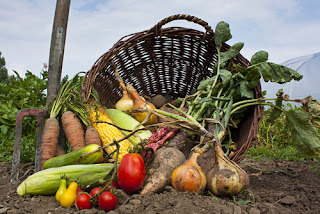 There may be foods in your location that grow naturally and can be gathered to supplement your garden. Local berries and seeds, honey, and fruit make nice additions to the menu. Visit the local farmer’s market for more options. Learn about the game animals that live in your area and what methods are available for harvesting. Deer, upland birds, waterfowl and other wildlife help the off-grid family live in greater independence. Chickens are a staple on most homesteads – they’re easy to care for and provide both eggs and meat. Turkeys and ducks provide meat and eggs. Goats can be used to help clear shrubbery, and can be milked. Be aware that their milk will taste like what they’ve been eating, this can be good or bad. Cows are labor intensive and expensive to keep fed (buy the land or buy the food), however, they produce abundant milk and meat. Pigs have been a staple on farms, but take care when cooking and eating to be safe from the diseases they can get and pass on to humans. Finally, there will be foods that are too labor intensive to be grown, grow in a different climate than your home, or compete with other demands for your time. These foods might include, among others, wheat, oats, sugar, salt, fruits, nuts, coffee and spices. You may need to purchase these items directly or find someone with whom you can do some bartering. Not often discussed in many guides to off-grid living is the topic of clothing. It is mentioned here as a reminder of its importance and acknowledgement of the continuum of self-sufficiency. Clothing is effectively go-everywhere shelter, and as such, is critical for life and health. Buy it - Stock-up on items that will wear out and need to be replaced. Depending on how long and how far off the grid one intends to live, this could become an expensive prospect. Stitch it - Buy the cloth needed for clothing, and then taking the time to cut and stitch it together. Kill it - Use the hides of harvested wildlife or domestic animals for leather. You must tan the leather before you can use it. Coats, pants, shoes and more can be made with leather. The original North Americans did this for centuries and lived well doing it. Grow it - Raise sheep or llamas for wool, shear them, and make your own clothing from scratch. The skills and time required put this out of reach for most people, just one example of how specializations have made our lives more convenient. How far off-grid do you want to go? Clothing requirements will vary with the local weather. A hot summer, cold winter and wet spring will all require different apparel. Off-grid living means hard work, and your clothes should be up to the task. Snowy RoadOne challenge of living off-grid often includes just driving home. By the nature of the experience, the distances are longer and the roads are primitive. This means dirt, gravel, mud, ruts, bumps, washboard, steep stretches, blind corners and limited passing room. There may be little to no maintenance. An older four wheel drive vehicle with locking hubs and limited slip differentials is really only two wheel drive in 4x4 mode, but should be able to pull you through up to ten inches snow and a couple inches of mud. A modern vehicle with traction control and the ability to lock all four wheels will go through considerably deeper snow, but that’s just a short cut and not a long term solution. You do not want your vehicle to be a weak link. Are parts available? Can you do repair work yourself? Consider ground clearance, vehicle size, cargo capacity, power and fuel efficiency. This is recommended if living in a location where more than ten inches of snow may accumulate at any point through the winter. Alternatively, mount a snowblower on a tractor. Snowplowing is fantastic fun, but it’s hard on a vehicle. You can pay someone else to have all the fun and wreck their truck, but you trade away your independence in the process. Snowmobiles go far and go fast, good for locations where there's too much snow to remove. Motorcycles are more fuel efficient than cars or trucks, but can't carry much. Cross-country skis but calories instead of petroleum, but there's only so much time in the day to get everything else done. The same thing can be said about a bicycle for summer travel. Every choice has consequences. The farther away you live from population, the more complicated transportation becomes. Remember Richard Proenneke and his story One Man's Wilderness? He obtained supplies by monthly visits from a float plane. How far off-grid do you want to live? The form of an off-grid home closely follows its function. There is less room for decorative or energy consuming features than there are in a grid-tied home. Off-grid homes derive their beauty from their efficiency and mindful construction. A home is shelter from the elements. It must protect from heat, cold, wind, rain, and snow. A home should protect from natural disasters, especially those possible in the area of construction. A home should keep out human invaders - build a burly door and use deadbolts. Off-grid homes must keep out the local critters, from bears to chipmunks. Costs are related to the materials used for construction and the skills required to do the building. 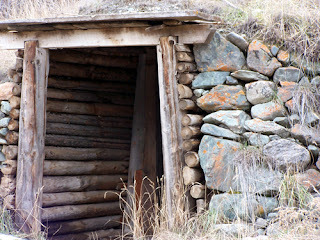 Build you own log home and save money with some training, ingenuity and time. Use shipping containers. Forty foot containers and abundant and cheap, but require expense or help to get in place. Build your home of bricks, blocks or hay bales. Bury a rebar reinforced cement bunker into a hillside. Criminal activity is related to population size – more crime happens where there are more people. Criminal activity is also related to population density – more crime happens when people live closer together. People are at their best when few and far between. Off-grid living does not guarantee safety, however. The wise person living off-grid will prepare for the worst and hope for the best, the same reason we have fire extinguishers. Firearms are great equalizers. Pistols, rifles, and shotguns all have their place in home defense. Practice weapons handling and use. You may have enough room for a range – be sure of your target and what lies beyond. Have a good backstop. Buy more ammunition than you use, and maintain a stash as you would with food. Get a backup weapon in case you run low on ammo. eg. 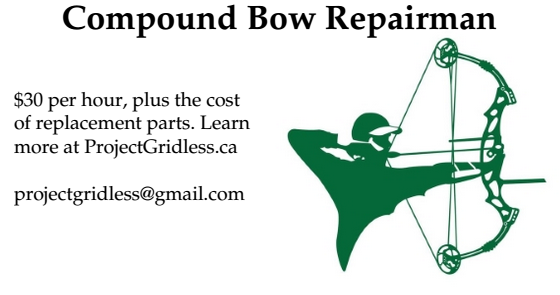 Compound bows or crossbows are pretty easy to use with minimal practice required. Longbows and recurve bows require more training to learn how to use properly, but are more versatile. Sentry systems can provide early warning of any visitors, although there are power supply challenges for off-grid homes. You may decide it is worth a separate dedicated power system, or a larger primary system. Mechanical systems are possible, but complicated and of questionable reliability. For those anticipating the worst, some people build hidden structures with secret entries or escape routes. Others build these spaces directly into their homes. All homes are designed to provide some interior comfort. People need space to sleep, areas for cooking and eating, and bathroom space for bathing and toilet functions. Homes must also provide some space for reading and talking, playing games and thinking, a space for recreation and downtime. A fireplace can make this room especially lovely. Before beginning construction, sketch out some floor plan ideas. In an off-grid home, efficiency is key. Bigger is not better. Large homes cost more to build, take more effort to maintain and more energy to keep warm. Off-grid living naturally requires some adjustments, and learning how to live in a smaller home is one of them. Living off-grid means increased independence – this is true regarding liberty and responsibility. Practically speaking, you will probably be doing much of the work on your home, including internal systems. If you’re not doing the actual work, you will at least be providing guidance. Study up! Conventional grid-tied homes are plumbed with metal pipe and threaded fittings for water supply. Installation requires knowledge and experience, and these plumbing systems burst if frozen. Neither lead, copper or steel are ideal for an off-grid home. PEX tubing comes in flexible coils or ten foot long “sticks,” is easy to cut and bend, and fittings can be tightened by hand. PEX won’t burst when frozen, though when it does freeze, it can’t be thawed by pouring boiling water on it like a steel pipe because heat doesn’t transfer well. Drainage plumbing is not very exciting for any home – grid-tied or off-grid, the simple, functional choice is ABS plastic. The key is to provide adequate support and maintain a consistent drainage angle – you do not want to deal with a plugged drain line of any sort at any time. Do it right the first time and then forget about it. Heating water requires a great deal of energy, good for our planet as the oceans do so well at moderating temperature extremes, but challenging for the off-grid dweller. Electric water heaters are impossible in 99% of off-grid configurations, so other options must be considered. Tankless propane water heaters have the best combination of efficiency and convenience, but they do burn through a great deal of propane. Solar water heaters, from the simple black plastic bag hung on a tree branch to the more elaborate glass tube systems used in South America have great potential, but are only viable in certain climates or during certain times of the year. It is possible to heat small batches on the stove. This works for cooking, cleaning, and bathing, if you have the patience for it. Off-grid means not connected to the electricity grid, so this is where the rubber meets the road in terms of the living experience. In town, you can plug in your toaster, microwave and hair dryer and run them all at the same time. Off-grid, you may not be able to use even one of these energy hogs. Electrical systems need to balance two factors: supply and demand. Off-grid systems are only able to provide so much supply, so the living experience requires many compromises in demand. If you find value in the overall experience, these compromises will only be minor inconveniences. Solar Panels (photovoltaic cells) – Solar systems are common, advanced, and the price generally drops every year. They work well and knowledge about them is widespread. Solar panels are a great option for off-grid power. Windmills – To live where wind alone is enough to power a house, it would need to be blowing more than half the time. Windmills must be distant from any obstructions including trees or buildings. For most locations, a windmill makes a nice supplement to a predominately solar powered system. Generators – They can be powered by gasoline, diesel, and propane. They are used when power demand temporarily exceeds supply, for example, when pumping water from the well to a higher elevation storage tank. Demand may exceed supply when there is a period of rainy or cloudy weather, or during the winter months when the sun doesn’t spend as much time in the sky. Reliance on a generator and the fuel it burns is a measure of dependence on the System. Hydroelectric plants – These efficiently convert the mechanical kinetic energy of falling water into electrical energy. They require moving water of sufficient volume, and not all properties have an adequate stream or river for this purpose. Bicycle – The average recreational cyclist can sustain an output of about 170 watts, and peak at 220 watts. (For reference, Tour de France cyclists sustain 400 watts and peak at 450 watts.) An off-grid home cyclist can power a laptop and a CFL blub. Additional components of all systems include batteries, charge controller, wires and inverter. Electrical power demand is expressed in watts, which is equal to volts multiplied by amps. Off-grid living requires basic electrical understanding. A stereo might draw 40W, a laptop 70W, a toaster 1500W. Light bulbs are named by the amount of power they pull: 40W, 60W, 75W, etc. Not found in off-grid homes: electric water heater; electric clothes dryer; electric stove; or air conditioner. Add up all the wattage numbers for appliances you want to be able to run at the same time, and add 50% to that total. The 50% fudge factor allows for peak loads which may exceed your expectations and conversion losses. Off-grid power systems become prohibitively expensive when trying to attain the numbers of a grid-tied home, so demand must be reduced. Peak power for a small cabin system is about 2000W. You won’t notice much difference between living off-grid and downtown with a 6000W system. Energy is power use over time – watt-hours, or kilowatt-hours. Energy demands determine minimum capacity of the batteries and solar panels. To calculate, multiply the power used by each appliance times the amount of time the appliance is in use, and add the resulting products. To determine the requirements for a solar array, more math is required that considers the amount of sunshine each day on a monthly and annual basis. Consult more detailed guides to assemble your off-grid electrical supply system. Most people who live off-grid still want to be able to talk to family and friends across the distance. Depending on the distance from a community, it might be possible to install a landline phone. A basic corded phone requires no additional electricity to operate. Cell coverage is often spotty in places where people live off grid, and purported signal boosters are not always as helpful as they claim – buyer beware! Satellite phones and systems which also include TV channels and internet are increasingly the choice for people living off-grid. Among their downsides are the continual electric draw and the exchange of some privacy and anonymity for convenience. Refrigerators and freezers have only been available for the household since the 1920’s, but today we can’t imagine life without them. Low temperatures slow bacterial action and keep food safe for extended periods. Specially made solar powered refrigerators tie into a dedicated photovoltaic cell and battery bank, but they are expensive to set up. Propane refrigerators use a flame to compress the refrigerant, and work splendidly, but they are expensive to buy and expensive to operate. It is possible to use the sun as the source of heat for a thermal compressor, but the method is not available to the household consumer. It’s possible to do it yourself or pay mega bucks. Today we enjoy the relative luxury of food in cans with multi-year long shelf lives. Buying food in cans is a valid component of a long term food storage plan, but not the whole solution. Home canning is a process for preserving food in glass jars that is still practiced today and is a good choice for people living off-grid and growing their own food. Cellars are a nice compliment to canning. Surrounded on four or five sides by earth, a cellar maintains a consistent temperature of 55ºF (plus or minus about five degrees ) throughout the year. This slows bacterial action somewhat. Before refrigeration, salting, pickling, smoking and drying were used to preserve food. All of these processes remove or replace the water in which bacteria grow, and protect the food from spoiling. All of these processes reduce nutritional value, including vitamin C, which is why sailors eating food preserved this way suffered from scurvy. These methods are time consuming and difficult - how far off the grid do you want to live? A wise off-grid food storage plan includes redundancy and variety. Off-grid dwellings do not use electricity for heating or cooking. Pellet stoves are not often used in off-grid applications because they require electricity. The most common solution for heating is burning wood. Wood was originally burned in a fireplace, usually built of stone or brick, but they are notoriously inefficient. A fireplace insert is a stove that sits inside the fireplace opening and increases the heating efficiency by collecting and radiating heat back into the room that would normally have just escaped up the chimney. A large faceplate helps even more. Inserts often, but not always, use a fan to spread more heat by convection. A third option is a free standing wood stove that radiates heat from all sides. They do not use fans, but they require more floor space as they must be placed away from walls and furniture on all sides. Wood cook stoves reduce dependence on the System, and have a long history of use. It's a greater challenge to cook a turkey, but that much more satisfying when done right. Wood cook stoves do extra duty in adding heat to the home and providing a backup in the absence of propane. No self-respecting off-grid home should be without a wood cook stove. Wood warms you when you work it, and warms you when you burn it. Every step is joyous. The smell of fresh cut wood mingling with saw exhaust, the sight of big chips pouring out beneath a sharp chain, the satisfying “whack” of a well-placed swing of the splitting maul – these are the rewards of using wood for heat, and that's before you set it on fire. Some off-grid homes use a propane furnace to supplement wood burning. This makes sense when other appliances such as water heater, fridge, and cook stove also use propane. Cooking with propane is superior to even electric in many ways, so much so that many grid-tied homes have made the switch. It’s no sacrifice to use propane for cooking in an off-grid home. Life is good off the grid. It's harder, but the victories are sweeter. Those living off the grid will have an advantage when the country goes sideways. Take your first small step toward independence today.